Italian Charm Triple Row Keychain. This is an Italian charm Keychain from the starter collection. 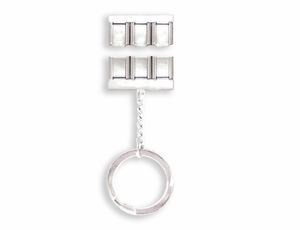 Designed to hold three rows of Italian Charms. It will make a great personalized gift.